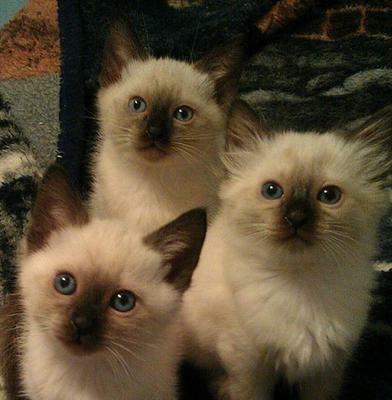 We breed Siamese, Balinese, Tibetans and Thai cats. Our foundation queens are original imports from Thailand. Thai Dee Maew is a registered cattery with the American Cat Association and the Traditional Cat Association. This cattery is owned by an expert on Thai cats who writes standards for the American Cat Association for recognition of rare native breeds from Thailand. We exhibit our cats at shows in America and Thailand. Pre-spoiled and LOVED - well socialized! What are Thai kitties? The answer to this question is on our website along with many links to find out more. Essentially, Thai cats originate from Thailand. They include: Siamese, Balinese, Korats (silver gray), Khao Manee (solid white), Suphalak (solid copper-brown), Konja (solid black) and other native cats from Thailand that occur through natural selection. 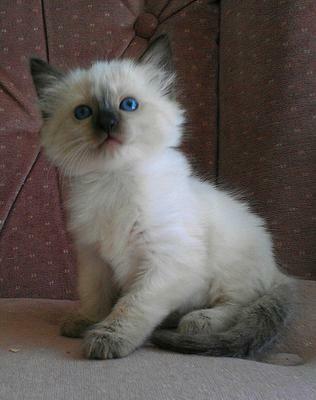 I have owned two Himalayans, but what are Thai kitties besides being too adorable?